Since I have owned my first iPod (back in 2004 with the iPod Classic 4th Generation), to my first iPod Touch in 2008 (this eventually died). Then came my iPad in 2010, the 4th generation iPod touch and last year I bought the 4th Generation iPad there have been many accessories that I have bought along the way to go with these devices. I remember the Belkin Transmitter for my iPod so I could use it in my music classes and transmit the music thru the radio. So here, are my top 10 essential iPad accessories to help with business. Tony Vincent, has recently created a brilliant infographic to show ‘7 ways to show your iPad on a Projector Screen’ which is important for those who have to present to audiences whether it is as a keynote speaker or as a workshop facilitator. 1. 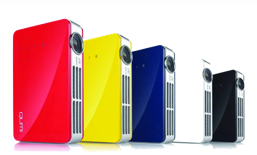 This company is based in Sydney and specialises in mini projectors for business. Some of them are designed for the iPhone, but others have a wider smartphone capability. These are brilliant for tradeshows, conferences and workshop presentations. 2. Lightning to VGA/Lightning to HDMI: These are must have cables to have in your accessories kit. I don’t go anywhere without my two cables as it means I can present anywhere depending on whether it is a VGA projector or even a HDMI television. 3. Camera Connection Kit or Lightning to USB Camera Adapter: Great for business travel where you need to take extra photos with a camera and you can upload the photos via a SD Camera Connection Kit (either Lightning or 30-Pin). 4. Logitech Ultrathin Cover for iPad: This has been recommended to me by several of my friends who use their iPads every day as a must-have accessory. If you do a lot of typing, I would suggest getting a keyboard to help with hand fatigue (and the other thing is getting a stylus to help). 5. 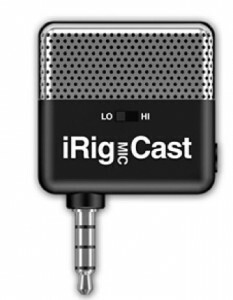 IK Multimedia iKlip 2 Stand – this is perfect for those who regularly speak (as it attaches to a mic stand) or for those who present keynotes. I recently saw it at a conference dinner, whether both singers for a band had their iPads on this stand. This stand hooks up to a computer via a clamp on the side. 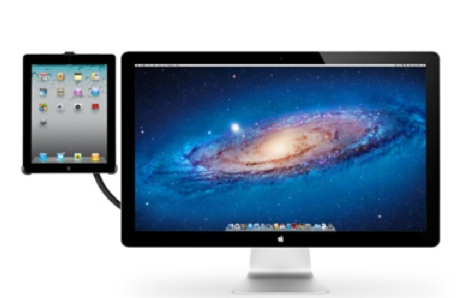 It also can be clamped to a desk as a mount for you to use the iPad as a second display. The other accessory I would add then is a Bluetooth Keyboard such as the Apple Wireless Keyboard for optimum productivity. This is ideal for those who run their businesses from their car such as those in sales, photographers, those who are in the trade industries. 8. Dual USB Car Charger: Charge both your iPad and your iPhone at the same time in the car. This is great for long trips in the car (for travel or for business). 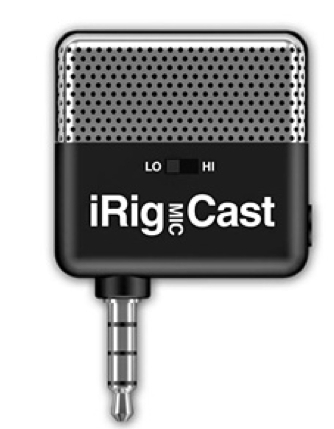 9. iRig MIC Cast: A great tool for amplifying sound and perfect for recording interviews, podcasts and Skype conversations. As I have discovered over the past 24 days, the only way I have survived during a work day is by having my power pack attached to the iPad to extend the battery life. Try and look for a powerpack that has two outlets so you can charge two devices at the one time. 10. Mophie Powerstation Pro: This is a great powerpack as it can service both your smartphone and your tablet devices. If you are travelling for business, it is a definite accessory for your mobile device. As tempting as it is to own all these accessories, they do make a difference depending on your business. Yesterday’s blog post was talking about ‘7 ways to manage your time with mobile devices’. Only 5 more days to go to the end of this challenge and then an eBook will be worked on for 2014, stay tuned!